Book Reviews for Regular Folks! I read - a lot. And I love to write. I've always been a bit put off by those stuffy, I'm smarter than you book reviews. So I decided to go ahead and write my own. They're not analytical or academic and I tend to read popular fiction more than anything else. I write as the spirit moves me and based on how the book really makes me feel. It's not about telling you what you should think or read. It's my opportunity to ruminate on the pages I've read and to take the time to write those thoughts down so that perhaps a year from now I'll be able to remember a little bit more of what I read and how I felt about it! 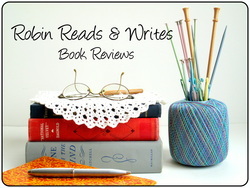 I happily share my reviews with you, and hope that you might discover something new and wonderful (or something you might want to avoid all together)! Regardless of what you take away, I hope you enjoy your time while you're here. Click on the cover to read the review. All of the opinions expressed here are my own and in no way represent the opinions, feelings, views, or beliefs of the Athol Public Library. I am not paid to write my reviews. Any mistakes or misrepresentations are my own and not the responsibility of the publisher, library or anyone else.